Life is an uphill struggle for two million single parents living in the UK. Not only do they contest with the difficulties of raising a child as a lone parent but they are also hit by poverty the hardest. This is thanks to a plethora of cuts, caps, benefit and welfare freezes – with uncertainty being the biggest burden that weighs down on these families. Government statistics show that children born into a single parent family are much more likely to be living in poverty; in the UK, 47 per cent of children in single parent families live in relative poverty, around twice the risk of relative poverty faced by children in couple families (24 per cent). Furthermore, the poverty rates for single parents haven’t even peaked yet, as it is predicted by the Institute of Fiscal Studies that by 2020 the rate will rise even further. Poverty stricken single parent families continue to attempt to survive, despite the obstacles they face; from employment, to living on low income, and the consequences this can having in terms of being forced to take on debt. Although employment figures for single parent families have increased, so many still struggle in poverty, below the average standard of living. According to analysis from Gingerbread, over two-fifths (41 percent) of single parents earn less than 60 percent of the UK average. For many families, children are the enablers to their lone parents entering into employment. This involves taking on the burden of additional responsibilities that their counterparts would not have to consider, including chores and caring for siblings; withdrawing from luxuries and experiences that they know their parents cannot afford, like clothes, trips and activities; and learning to accept that changes and sacrifices must be made to plug the benefits deficit. Once in work, many single parents see a significant shortfall in their earnings, set against their outgoings. A report by the Joseph Rowntree Foundation found that: “Almost three quarters of lone-parent households live below the decent standard of living” and the annual update of A Minimum Income Standard for the UK showed that “lone parents are falling £640 a year – £67 a week – short of what they need.” This of course has dire consequences, with a new need to borrow to make ends meet – a dangerous cycle to be forced into but essential for many. A job that does not plug outgoings of course has a knock on affect on the physical living conditions that millions of families have to endure, and adds pressure, stress, and strain on relationships. In my earlier blog post I spoke of the price of poverty on families, such as being unable to meet essential needs, and the impact this has on a child’s education, physical and mental wellbeing, progression, achievement and development. In this blog I will focus on relationships and housing. 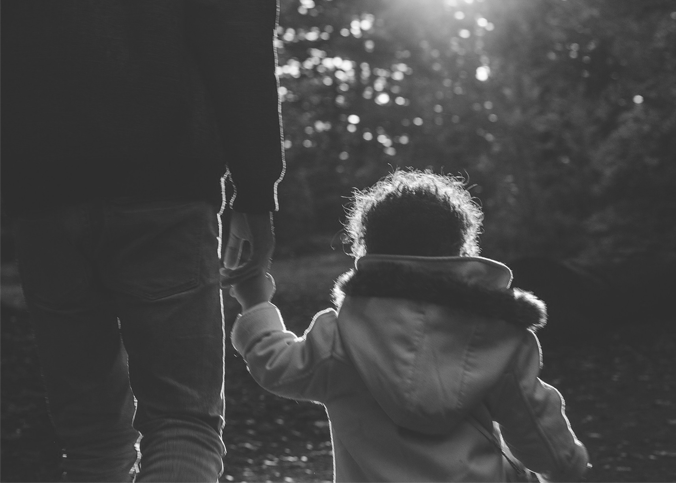 The Joseph Rowntree Foundation has published a series of case studies into how single parent-child relationships are affected by poverty. In most cases the children were appreciative and proud of their parents’ work ethic, but other relationships ran into difficulty, with children seeking alternative shelter with family members, hostels and even on the street. The money simply did not stretch far enough to cover all family members. To the outside world, Steph would look like a successful single mother. She has a full-time professional job, two girls, a baby on the way and one big secret: she’s worried she’s about to be made homeless. Again. “I’ve been in temporary accommodation for a year now. There’s damp on the walls, a leaky sink and rats living in one of the bedrooms. They charge me £1,000 a month to live here. “Our whole family is sleeping in one room because of the rats in the second bedroom. There’s also a hole where rainwater seeps in, so I can’t sleep in there. This is not just one person’s story; the threat of homelessness affects millions of single parents who are unable to keep up with rent payments and bills. It is a stark reminder that all is not as it seems on the surface, and there is a clear lack of support for those working but being unable to make ends meet. Lone parents are often backed into a corner by bills; the only way out is debt but this is never a long-term or sustainable solution. As a result of poverty many go seeking assistance from moneylenders, which charge extortionate repayment rates. This then becomes another unhealthy cash drain, which consumes already tight finances. Additionally, it has been reported that low-income households are failing to claim the support that is available to them. Turn2Us discovered, through their #BenefitsAware Campaign “that almost half (48%) of low income households are not claiming the welfare benefits and tax credits they could be entitled to.” Why? Apparently many had been deterred from checking or claiming potential benefits entitlements because they did not think they would be eligible, they were unsure of where to find help, and changes made it difficult to apply. This lack of knowledge and support has left a lot of single parents out in the cold, deserted. Employment, housing, relationships, and debt all weigh down single parents on a lone uphill mission, with a sole aim to keep surviving and pushing ahead to make ends meet amidst poverty. Our government must help to tackle the hardships they face – we need to increase the advice and support services for families; invest in debt prevention; create a childcare system that works for, and incentivises, lone parents; reintroduce Universal Credit Work Allowances; and ensure that benefits meet ever increasing living costs rises.